There are few things more frustrating than an unproductive meeting. You know the type — when participants show up unprepared or don’t show up at all, when they forget which items need to be followed up on, when those who didn’t show up to the previous meeting need to be briefed on everything that occurred while they were absent. A new startup, with the simple name Do, hopes to change all that with a platform built to make meeting participants better prepared before they show up, and to keep a more complete record of what transpired for those who were in the meeting and those who couldn’t make it. Do was incubated out of SherpaFoundry, the “vague by design” strategic consultancy founded by investors Scott Stanford and Shervin Pishevar. The firm, which is being headed up by former BabyCenter CEO Tina Sharkey, plans to work with a couple of major corporations, as well as a handful of startups, to build innovative solutions in a variety of verticals. Do is launching with $400,000 in funding from (the separate) venture fund SherpaVentures, as well as Salesforce.com. It was from Salesforce, actually, that Do acquired its URL after the cloud-based CRM player closed its task management service at that URL last year. While it was hatched with help from SherpaFoundry, Do is its own independent entity. The company is being run by former Yammer product manager and SherpaFoundry EIR Jason Shah, who has recruited a team to help him build it. When the SherpaFoundry started thinking about what to tackle in the early going, it settled on enterprise productivity as one particular area of focus, and brought Shah on to start developing a product for that vertical. When deciding where it could make the most impact, the Do team settled on creating something to make meetings more productive. At its core, Do was made to get everyone in a meeting on the same page and keep them there. It’s also designed as a platform to keep a record of the items discussed and decided on for future meetings. After users create a meeting and invite others to it, participants can add or comment on items in the agenda. Doing so enables all participants to be aware of the key issues they’ll discuss before entering a meeting, and to make sure those meetings touch on issues they would like to discuss. The platform provides a dashboard of upcoming events, allowing users to see all of the meetings they have scheduled over the next few days in one place. It also sends a daily email that includes all of their scheduled appointments for the day. Once a meeting has begun, participants can take collaborative notes in real-time to keep a record of decisions made or follow-up items from each meeting. That makes it so that even those who wouldn’t usually speak up in the middle of a meeting can have their concerns addressed or questions answered. The platform also provides support for uploading all materials ahead of time, making all documents, slide decks, and whatnot instantly available in a single place — no more hunting through email for five minutes when it’s time to discuss a certain presentation. When a meeting is over, all participants have a record of what was discussed, decided, and shared, as well as whatever followups need to be followed up on. They can receive or share an email record of the meeting’s events, and all items recorded within Do are easily searchable in the future. In building the platform, Do has gotten a lot of help and insight from its investors and the incubator it came out of. SherpaFoundry and SherpaVentures run on Do, and the web app has boosted productivity in both organizations according to Sharkey. She noted that when a recent hire came on board, he was able to get up to speed just by having the records of previous meetings shared with him. Still, there’s a more comprehensive suite of tools and apps that the startup will likely have to build to make the platform really useful. Building a mobile app, for instance, to take the service out of the browser and make it more readily available on mobile devices, seems in order. And, once that’s done, it seems like a native desktop version shouldn’t be too far behind. Do is launching with limited support for other third-party services and applications, most notably Google Apps. But the company sees a wide range of integrations that could make it more powerful, including stuff like Evernote for keeping track of meeting notes and documents and Asana for task management. Besides new platforms and devices, there also seems to be a couple different use cases that Do could build experiences around. It might be focused on meetings initially, but there are other enterprise productivity problems that the platform seems poised to solve, if only by accident. For instance, the email digest and dashboard that it serves up provides a pretty elegant alternative to most calendar apps. And the followup items that come out of meetings could easily replace to-do lists that business users build for themselves today. 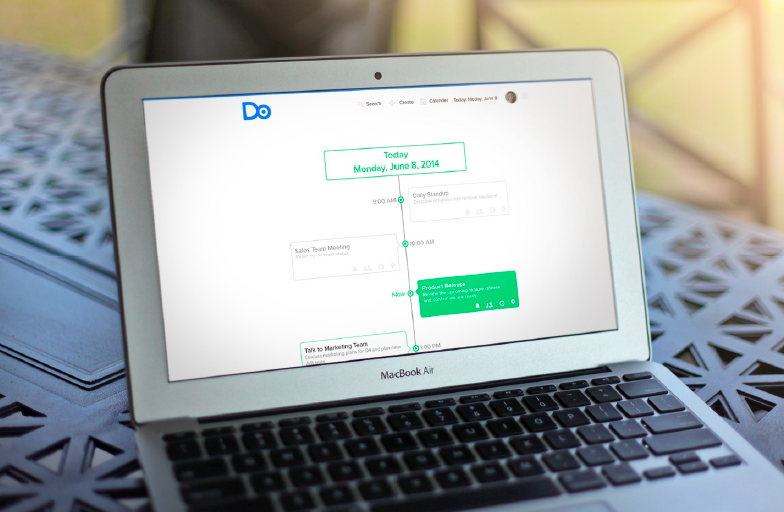 I could easily see Do becoming an all-in-one productivity suite that replaces collaborative meetings services, as well as calendaring and to-do apps. The good news is that Do will at least have really efficient meetings when it’s planning how it’s going to tackle all that.